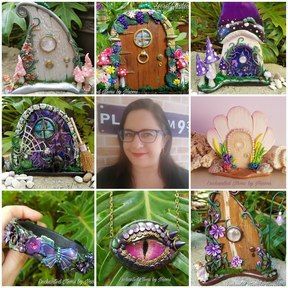 This dragon eye trinket tin is all handsculpted with polymer clay, around a tin form, with scale textures and added dragon features like scales and horns. Also added shimmer powders and gems... makes this truly a unique piece. The glass dragon eye used, is hand painted to give it's own unique personality. Approx. Size 12cm wide x 4 high.